A view across a previous edition of Free Range. Think of it as a student art fair. The UK is full of talented creative graduates — so wouldn't it be great if we could see all their works here in London. Thanks to Free Range we can. 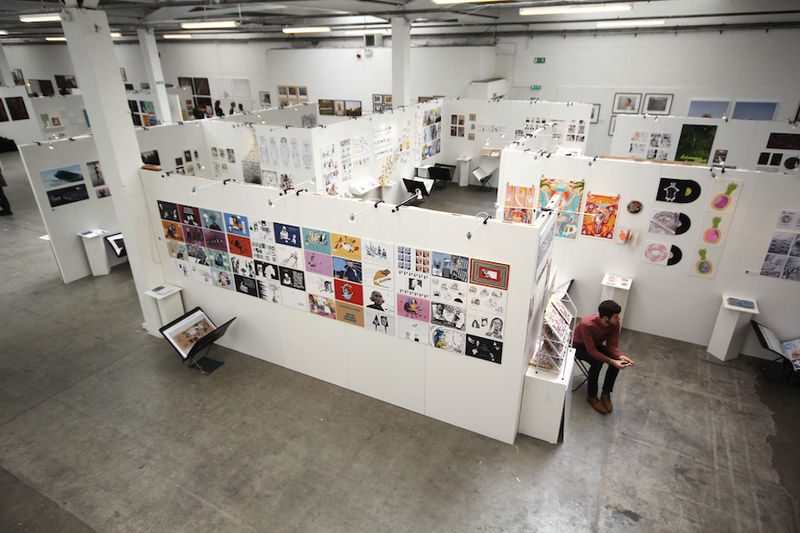 It's an annual showcase of works by students in colleges and universities across the UK. Illustration, design, fashion, art, photography and architecture are covered across a six-week rotating schedule. This means visiting every week reveals a completely new set of work. And as it's by young creatives, a lot of the work is available at affordable prices. It's hosted in the vast exhibition spaces of the Old Truman Brewery so there's plenty of variety on show and every visitor will find something they like. We've been for the last three years running and we've loved it each time. Free Range 2016 is on at the Old Truman Brewery, 85 Brick Lane, E1 6QR from 10 June-18 July. Entrance is free. To make the most of it, see our guide to navigating an art fair.